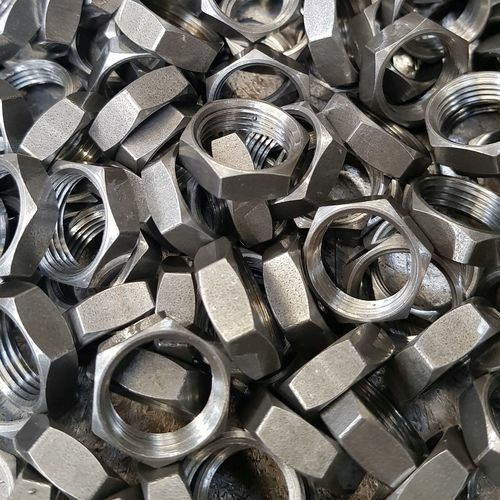 Trojan Special Fasteners Ltd can manufacture all manner of hexagon nuts.Hexagon nuts are industrial fasteners that have at least one threaded hole. 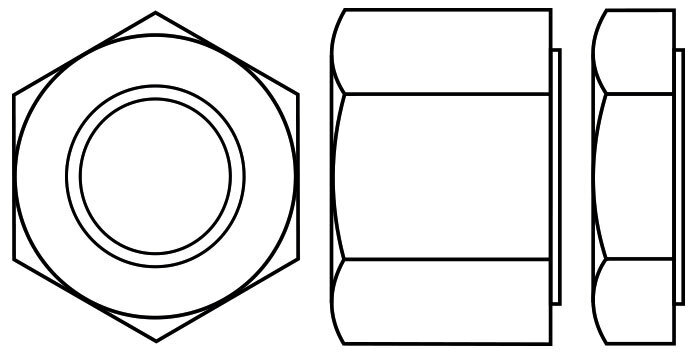 They are nearly always used applied to a mating bolt to fasten a stack of parts together. 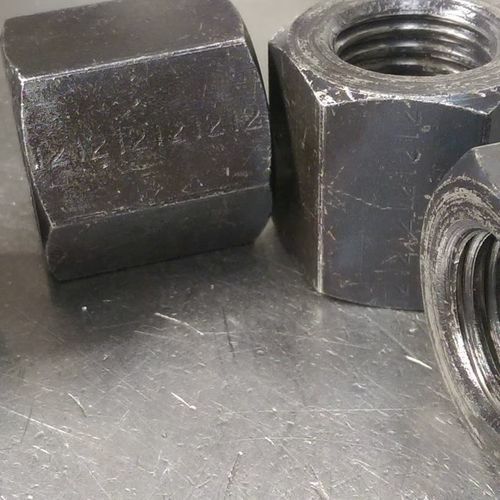 The most common shape of a nut is one with 6 sides, because this gives good granularity of angles for a tool to approach from (great in tight spots), a greater number of corners would mean higher angles that are more prone to be rounded off - and we all know the headache of removing a rounded nut or bolt! 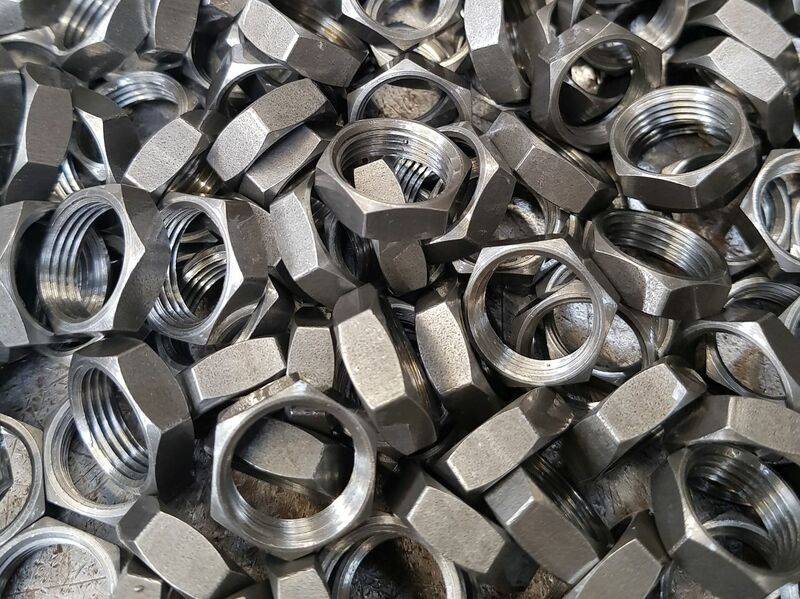 The hexagon nut has been in mass production since the mid 19th century when machines were capable of mass producing them - it is around this time that the famous Mr Whitworth standardised his screw threads. 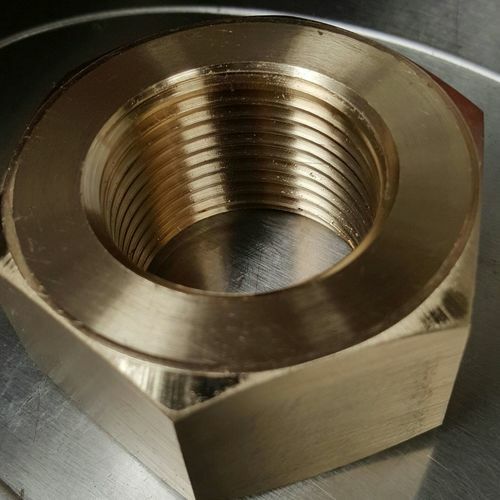 We can manufacture heavy hex nuts for a number of our clients. 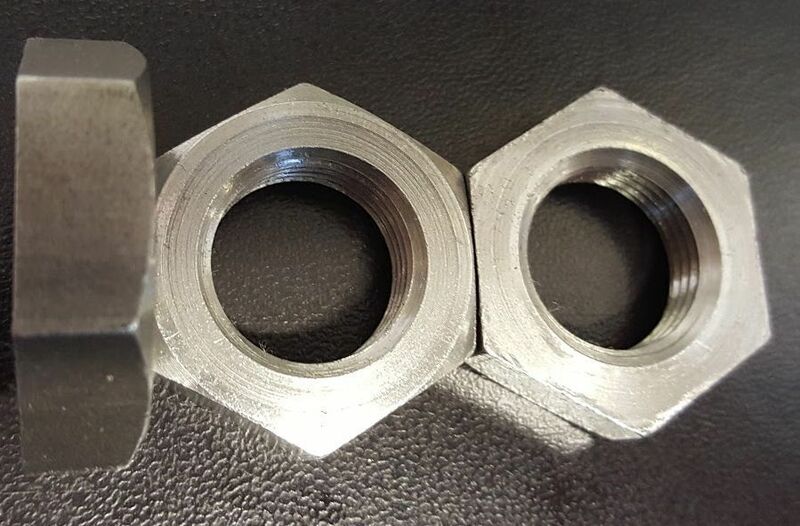 These are larger (have bigger across flats and thicker) than usual nuts of the same size. 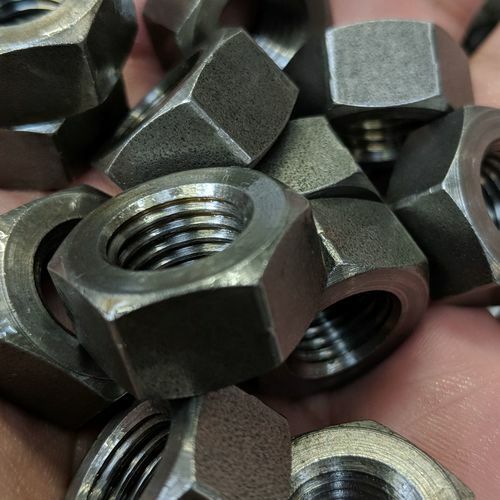 This increases their overall strength because more threads are engaged and there is a reduction in how much the nut expands because of this increased across flat size. 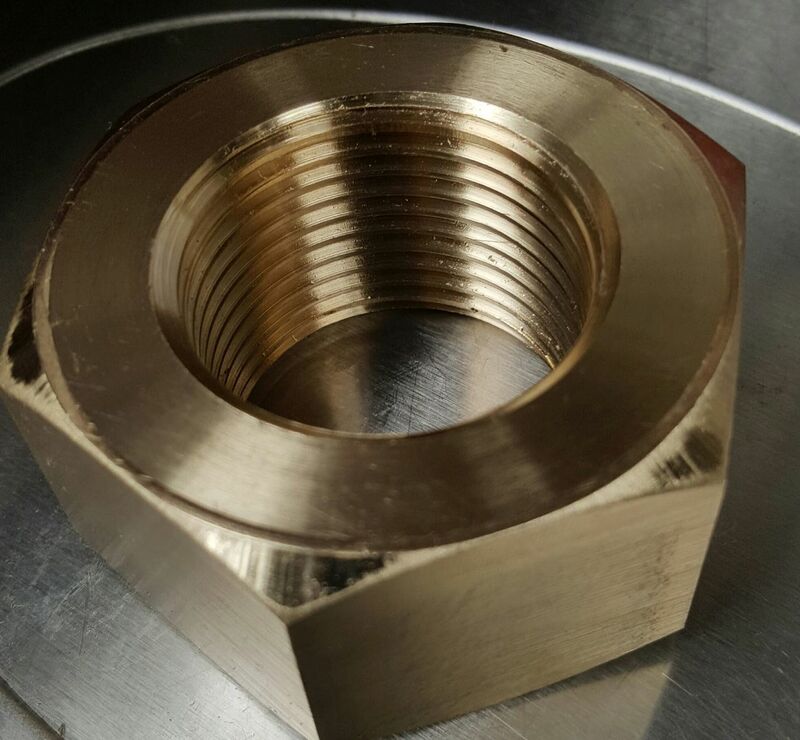 Typical heavy hex nuts utilise the unified thread form, but we do manufacture heavy hex nuts with whitworth and metric threads. 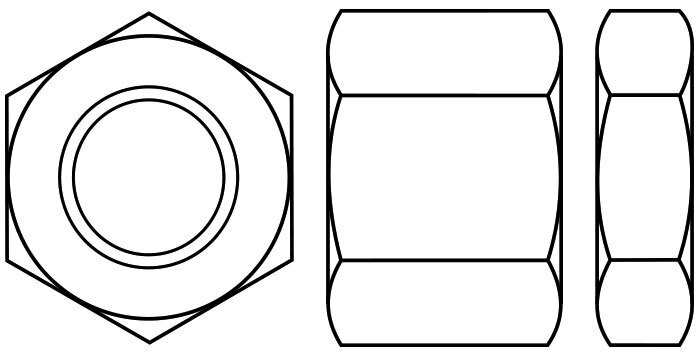 Currently, the two most prevalent thread forms are ISO Metric and the Unified Thread Standard. 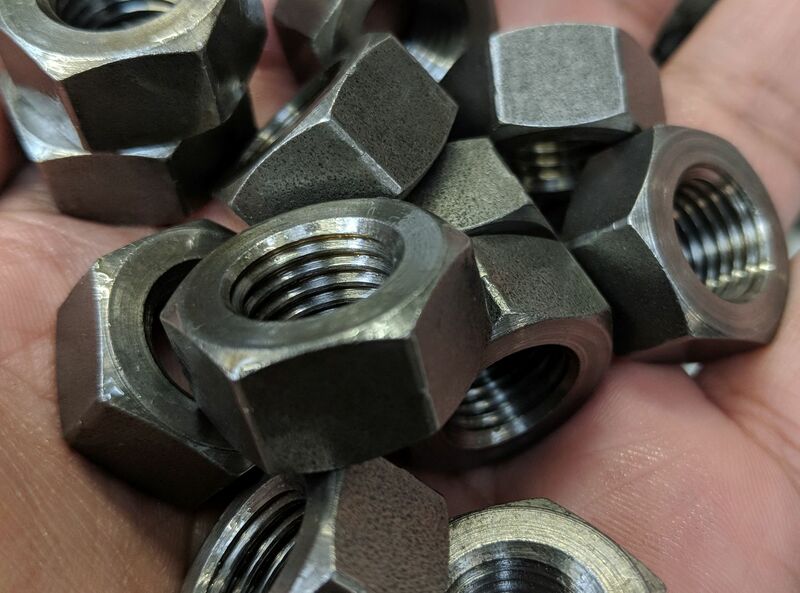 However, other forms are in existence and Trojan prides itself on manufacturing nuts in almost every thread form available. If it can be cut, we can do it! 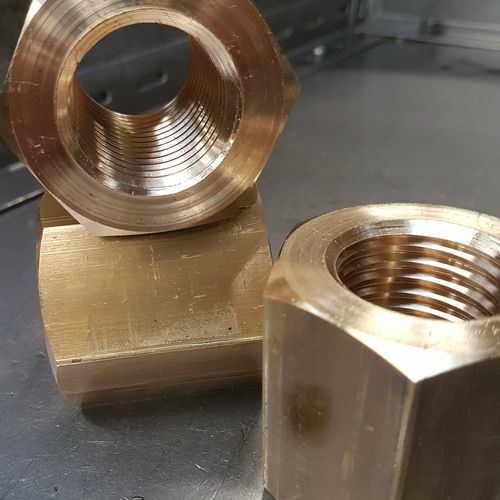 In addition to standard preferred sizes, we also manufacture non preferred and non standard or special thread and nut forms and sizes. 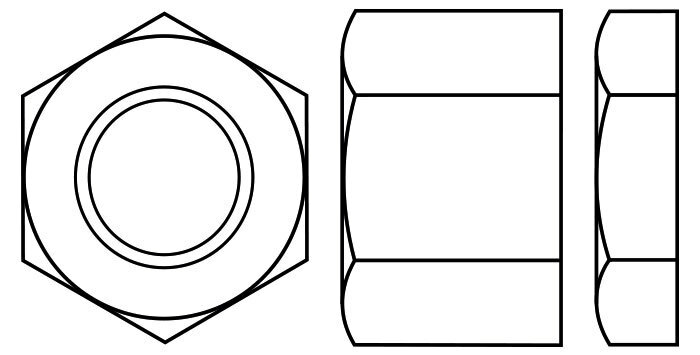 If you have a drawing, or a sample Trojan Special Fasteners Ltd will make what you want. 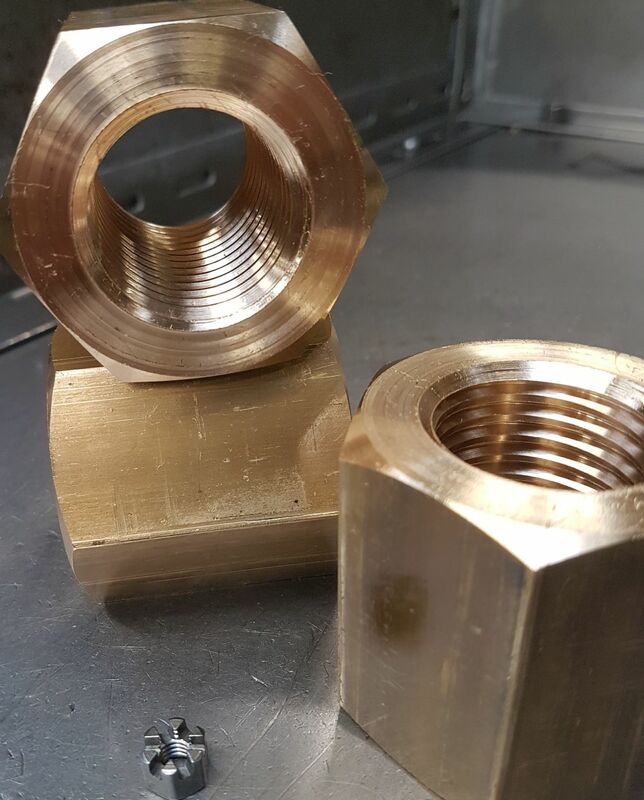 We can manufacture from single quantities all the way up to the thousands. 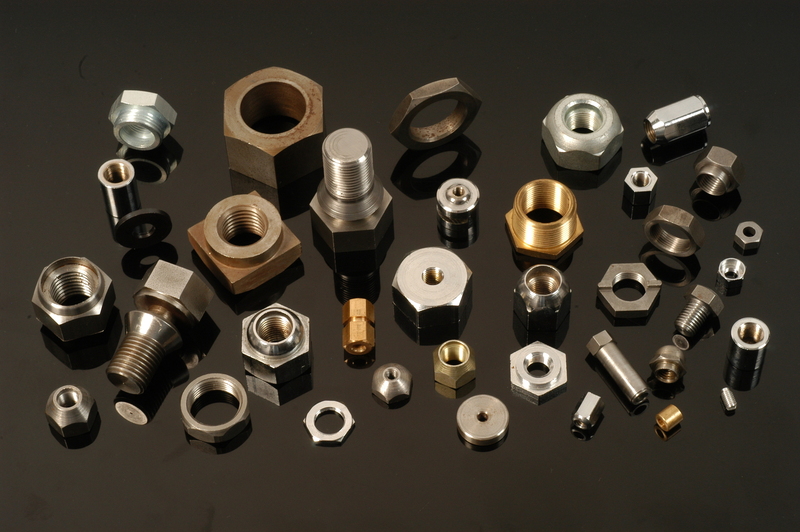 A selection of hex, square and round nuts in various materials. Whilst every care is taken to ensure that information is accurate and up to date, errors may occur. Please verify any information prior to use as Trojan Special Fasteners Ltd does not provide any guarantee or warranty for anything presented on this website or in any downloaded files from this site.